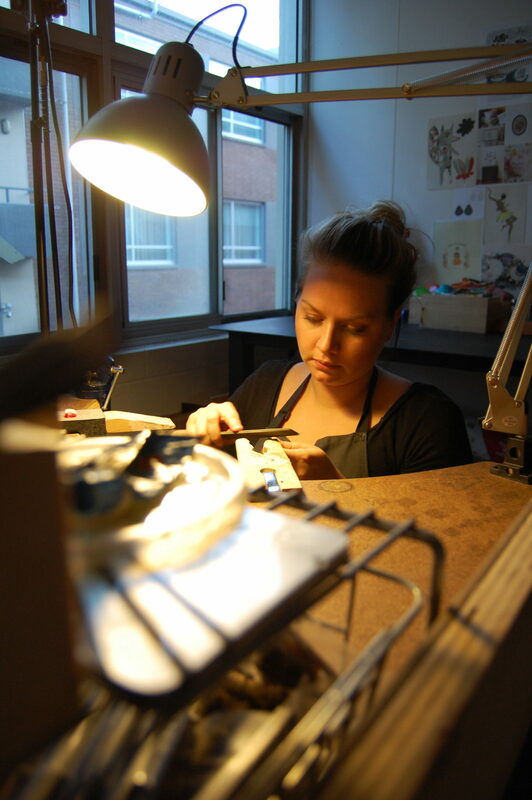 An intensive jewellery making workshop, where students will learn the techniques used in the moulding and casting of their own jewellery. Students will learn about the properties of resin and learn how this material is used in a creative way, by adding coloured pigments and mixing colours to make their own painterly like earrings. Graduating from my Bachelor of Visual Art in 2008, I went straight into an Associateship at the JamFactory in their Metal Design Studio. It was here I was able to really experiment with resin, under the support of the studios Creative Director. I stayed on as a tennant in the JamFactory for another 4 years, working on developing my own techniques and practice. I love working with resin as the possibilities of what you can do with the material are endless. My jewellery demonstrates a complex and playful use of colour, pairing every colour imaginable with experimental and unpredictable compositions.Each piece of jewellery is created to be continually explored, offering fresh discoveries within the colourful chaos.